Knowing the schedule and having speaker biographical information can make your day at TEDxUNLV more pleasant. With the event app, you will be able to receive important real-time communications from TEDxUNLV, take notes, rate the sessions, and comment on them too! SEARCH*: The App Store or Google Play for “TedxUNLV”. 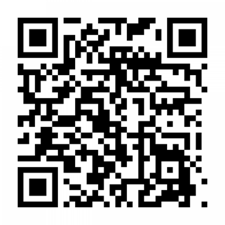 SCAN*: Use your devices QR code scanner to quickly find the TedxUNLV App. *Point your browser to the TEDxUNLV App website for Blackberry, Windows and other web-browser-enabled devices. Are you unable to join us for the event? No worries! We will be live streaming the entire day’s activities. Just point your browser to the link below. Plus, download the app for the day’s schedule and speaker information.